Health care fraud defense attorneys at Joseph Potashnik and Associates, PC handle investigations initiated by this government agency. We provide legal counsel to physicians, nursing homes, medical laboratories and other institutions and professionals, and beneficiaries on all stages of cases, from initial inquiry to litigation and prosecution. Are you investigated by NYS Department of Health? Several units and bureaus within the Department are authorized to review complaints about medical programs fraud and abuse and start investigations, including the Office of Professional Medical Conduct, Bureau of Special Investigations (BSI) of the Nutrition Department, and Laboratories Investigations Unit. Both beneficiaries and medical providers may become a target of the investigators. As a result, beneficiaries may end up losing their benefits while providers may lose their license. In both cases, those found guilty of medical programs abuse and fraud may face criminal penalties, including large fines, probation and jail time. If you have found yourself under investigation, you should follow this roadmap. 1. If you received a letter from NYS Health Department asking you to attend an interview, it most surely means that you are investigated for fraud. 2. Try not to spill out anything when being delivered the letter. If the agent starts asking questions, politely tell them your lawyer will contact them shortly. 3. Contact our New York Medicaid fraud attorneys to get expert consultation on your case. From this moment, it will be us who will delicately handle all interaction with the investigators. Why turn to Joseph Potashnik and Associates? 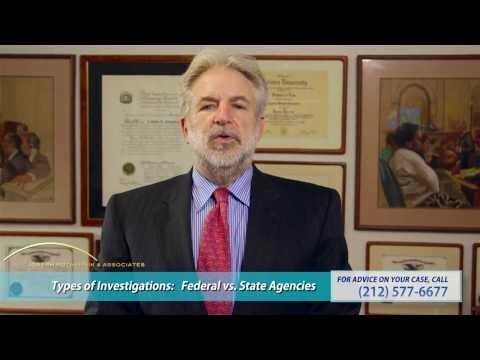 Since the establishment of the law firm, our healthcare fraud lawyers have gained profound expertise in dealing with various investigative agencies authorized to conduct investigations in relation to health care, including the Office of Medicaid Inspector General (OMIG), State Insurance Department, District Attorney’s Office, NY Attorney General and NYS Department of Health. By trusting your case to us, you rely on decades of solid experience gained during over a hundred successfully resolved cases. The family of one of the residents of a nursing home filed a complaint. The reason was that the staff allegedly failed to properly monitor the resident, and as a result, the resident burned himself severely after starting a fire with a cigarette. As a result, the institution was facing a penalty of $500,000. Our legal counsels managed to reach a settlement of $100,000. A resident at a nursing home told her family that she was suffering verbal abuse from her assigned caretaker. The family filed a complaint, and the investigation started. The caretaker was facing a fine of up to $1,000 and loss of her job. Our lawyers managed to dismiss the case. A medical laboratory was investigated for falsification of records and other unethical practices on a complaint from the lab’s client. The laboratory was facing loss of its license and financial penalties, and some of the employees could potentially be excluded from the U.S. government healthcare as well as served criminal charges. We managed to dismiss the case. Request competent legal advice now! Fill out the contact form below or call us at the number provided now!